Sheila Benson, a scientifically validated energy healer, today announces research results based on the impact of a biofield energy treated nutraceutical to improve overall immunity and to combat inflammatory and autoimmune disorders. Significant increase in magnesium and phosphorus levels, as well as, decreased uric acid levels. The research findings suggest that the biofield energy treatment enhanced the nutraceutical's anti-inflammatory and immunomodulatory properties. Another promising indication for the supplement is improvement of overall health and the quality of life. This Biofield Energy Healing Treatment was provided by Benson as part of a group of 18 energy healers. Eleven were remotely located in the United States of America, four in Canada, two in Finland and one in Albania. The test formulation was located in the research laboratory of Dabur Research Foundation, near New Delhi, India. The Biofield Energy Treatment was administered for 5 minutes through the healers' unique Biofield Energy Transmission process remotely to the test samples under laboratory conditions. Benson, as well as, the other 17 biofield healers participating in this research never visited the laboratory in person, nor had any contact with the nutraceutical samples. Sheila Benson has always been passionate about working with others and has spent the majority of her adult life assisting people to experience greater well-being, improved health, and increased happiness. 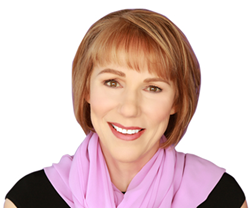 She has worked as a successful psychotherapist and educator for the past 20 years. Sheila has spent her life on quest to deepen and enhance her natural healing abilities. She even became a certified Reiki Master, but it was not until she had the good fortune of meeting Guruji Mahendra Trivedi, founder of the Trivedi Effect®, and received his blessing that she found true and lasting transformation. Through her association with Guruji Mahendra Trivedi, Sheila has not only received remarkable personal benefits, but the focus, compassion, and power of her practice has increased. Under Guruji Mahendra Trivedi's guidance, Sheila’s energy healing abilities have been scientifically tested, validated and published in 12 International peer-reviewed science journals. Further, the research data indicates that Sheila’s biofield energy transmissions have the potential to positively impact overall human health.